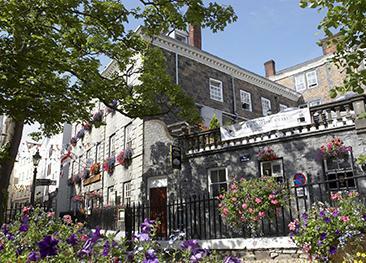 The Duke of Normandie is a lovely 3-star boutique hotel in Guernsey's town centre, featuring a popular bar, a beer garden and a sunny courtyard. The stylishly designed rooms offer pleasant modern comfort and are equally suited to the business traveller and to visitors. ”The Duke” aims to please! Guests are treated with warmth and the staff is always at hand to help plan your days exploring and give advice on where to go. There is a selection of Mini, Cosy, Superior and Executive rooms. All accommodation is immaculately designed, richly decorated and features high quality furnishings, from beds with sprung mattresses to beautifully comfy goose quilts. Mini and cosy rooms are small single en-suite rooms ideal for a business stopover. Superior and Executive rooms are double rooms, perfect for a short break. All rooms are en-suite and equipped with LCD television, digital TV, DVD/CD players, iPod station, minibar, safe, laundry service, ironing facilities, free WiFi and offer room service during reception opening times. The Bluebell Room serves breakfast to residents. The Pickled Pig is a food-serving pub which opens onto a lovely beer garden. There is a quirky and intimate feel to the pub which offers a varied menu full of home-made dishes. 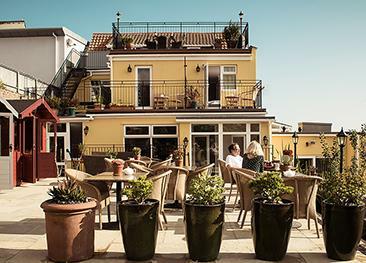 The beer garden and the hotel’s sunny terrace are ideal for relaxing after a long day exploring or shopping. St. Peter Port is full of interesting nooks and crannies. A guided walking tour might show you more than what the eye can see. Wheelchair access is limited and there are no lifts, but the hotel has a ground floor room with a walk-in shower. The hotel was clean and tidy and the staff were helpful and pleasant but the outside space with tables was scruffy. The hotel is dark with little natural light in the breakfast room and bar. I have stayed in many hotels and 3 stars is my rating. Great value for money, especially with the 2 day explorer bus pass. It helped us get around the island with ease. Flight good and hotel lovely and in a great central location. We would definitely recommend Duke of Normandie.Breakfast very good too. Nice hotel centrally located in the town. Nice large and clean room. Friendly and helpful staff from the receptionists through to the cleaners. Breakfast waiters were particularly excellent. Breakfast options and food was also very good. Would recommend this hotel. Room fine, although shower cubicle needed some maintenance. Our room was in the courtyard, and over the weekend it was noisy at night from the bar area. Food and service very good. Staff very friendly and helpful. 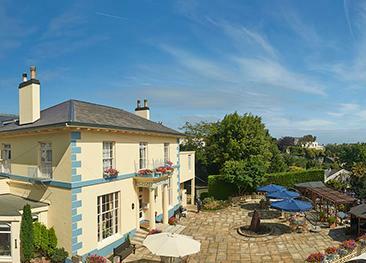 refurbished it is now an excellent hotel right in the heart of St Peter Port. Staff are extremely friendly and helpful and we could not fault the hotel.